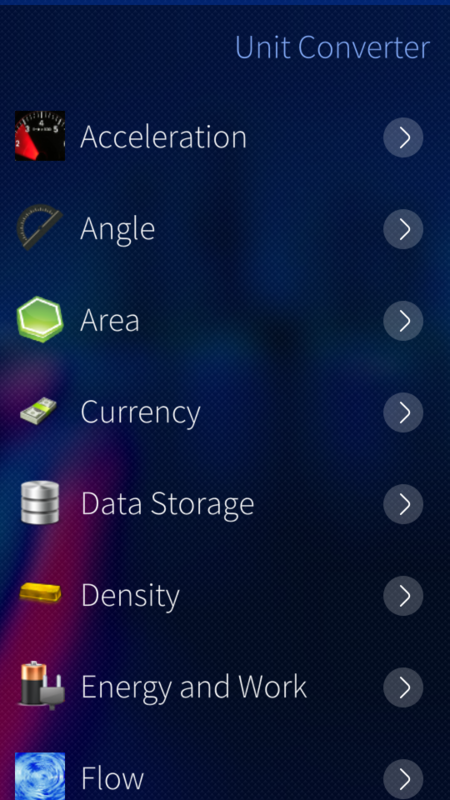 Fork of the Unit Converter application for Sailfish OS. This application allows user to convert values from one unit type to another. Acceleration, angle, area, currency, data storage, density, energy and work, flow, force, frequency, fuel consumption, length, magnetic field strength, magnetic flux density, mass, numbers, power, pressure, speed, temperature, time, torque and volume. Additional ruler. Ruler is only tested on Jolla1/Xperia X and jolla tablet. Translations are only partial because values are used as reference in the code. On my Xa2 plus，I don't see Chinese translation .It is still English on my screen . It seems you have Chinese language issues with a lot of apps. Try selecting a different variation of Chinese in the settings menu, and see if it helps. Great app that comes in useful on a regular basis. Unfortunately, the currency converter has stopped working. When I put in an amount, "nan" shows up in the other currency values. Yes, confirmed. Will look at it this weekend. On Jolla C the scale of the ruler is distorted. The lines are nowhere near real mm because of the physical screen size (probably). The Jolla C screen is 110x62 mm. Please, make it easier to change the value in the Favourites. It could function like the regular conversion screens without a special "Edit" command. 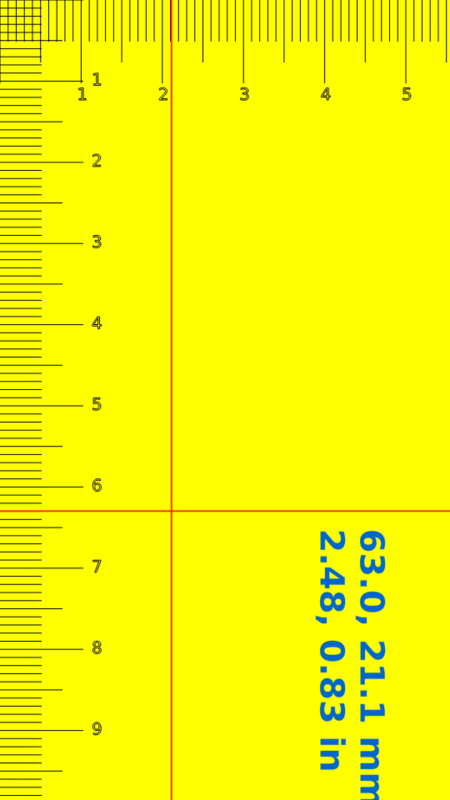 The ruler is only fitted for Jolla 1 and Xperia screen sizes. For the tablet it's already harder because of a different screen ratio. I will have another look at it. But no plans to work on the favourites part at the moment. Thank you so much @ade for taking care of Unit Converter and making it even better! Could someone tell (give a relevant tutorial link) how to translate this app? I can make a Russian translation. As mentioned in the description: "Translations are only partial because values are used as reference in the code.". Maybe it could be made fully translatable, but that would require more that a little rework. For now it is partially translated to Dutch and French. You could download https://github.com/a-dekker/Unit-Converter/blob/master/translations/harb... and open it in Qt Linguist 5. Then you can choose your destination language and translate the translatable strings. Oops, stupid github interface. I did not want to fork the repo, just propose this file. The icons may need a facelift to look as a good set together. Unlike the Jolla store version this fork actually runs in SFOS 2.1.4.14! However it needs a lot of work at currency conversion. The list of currencies is long and unmanageable while being incomplete. 2 add missing currencies, e.g Byelorussian rouble BYN. 3 fix favourites by allowing to enter a value to convert between bookmarked units AND allow to reverse the pairs. I will see how easy it is to sort the currencies alphabetically. I agree it would make searching easier. The currency info is from http://www.ecb.europa.eu/stats/eurofxref/eurofxref-daily.xml, so we are kind of limited to what they provide. Byelorussian rouble BYN is not part of that at the moment. "Fix" sounds like broken. This looks like a "nice to have". You can always swap the values yourself of course. I left a message for lutinotmalin about this. That is kind of unexpected. Can you type/start "harbour-unitconverter" from terminal and tell me what the output is? Yes. It works. But how attach/send screenshot of terminal? Thanks for reporting, as far as I can tell it should be correct in the new release. Thank you for adding Imperial Gallons. Your response was very quick. Currently (v2.7-1), the comma of my (French) keyboard has a weird behavior: it erases the entry field. So I have to make a copy-paste from an other app (e.g. notes). It turned out to be not that hard, as Qt.locale().decimalPoint can tell what sign is used. B.t.w. it does not work if you start the app from the command prompt. So 2.8-1 should now support both comma and dot. v2.8-1 is just perfect. Thanks!